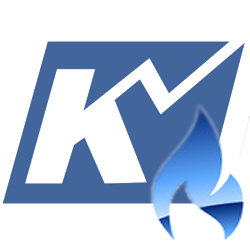 Natural Gas Archives - Kase and Company, Inc.
September natural gas briefly bounced after falling to $2.751, but the move up stalled at $2.788, forming a new primary wave down from $2.831 that is poised to reach at least $2.73 and possibly $2.70 tomorrow. The former is the 62 percent retracement of the move up from $2.671 and the smaller than (0.618) target of the wave down from $2.831. This level may initially hold, but once met odds will favor an eventual close below $2.73, which would then open the way for key support around $2.70. This is the equal to (1.00) target of the wave down from $2.831 and connects to $2.66 and lower. That said, for the corrective move up from $2.671 to retain a reasonable shot at extending $2.73 needs to hold and prices will have to overcome the $2.788 intra-day swing high. This will not guarantee a move up but will increase the probability for a test of $2.85, $2.89, and possibly $2.92. For now, though, due to today’s close below yesterday’s $2.77 target, the near-term outlook is negative. This week, June natural gas has been bound within a very tight range between nominally $2.70 and $2.77. This is a challenging call right now because there are plenty of technical factors that indicate a break in either direction could take place soon. Even so, because the corrective range formed after a move down from $2.82 odds have a slight edge to break lower. A close below $2.70 would open the way for $2.66, $2.63, and possibly lower. Should prices settle above $2.77, look for the move up to challenge at least $2.81 and possibly $2.84. All of that said, even upon a break out of the most recent range prices must still contend with the boundaries of a larger range that has persisted for the past few months between approximately $2.66 and $2.87. For now, look for a break out of the smaller range between $2.70 and $2.77 within the next day or so to guide short-term trade decisions. There is still no evidence calling for a break higher or lower out of the larger range, so its boundaries would make for likely profit taking or stop and reverse entry levels until external factors provide more evidence to help determine a longer-term trend. 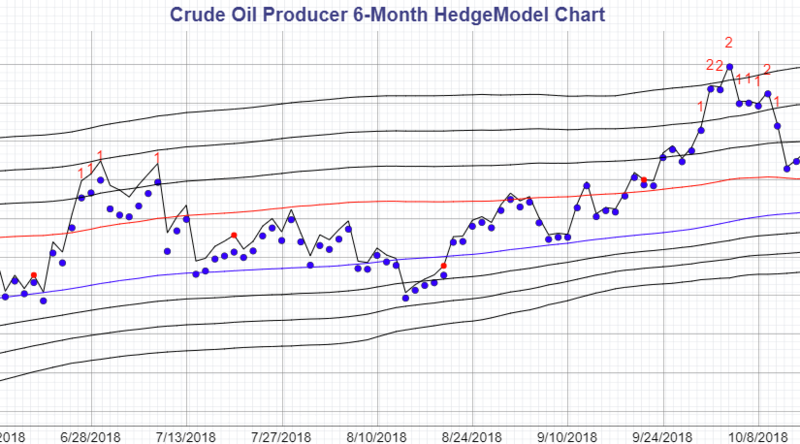 June natural gas remains range bound between nominally $2.65 and $2.87 but has been working its way toward the upper end of the range for the past few days. A test of $2.84 is expected early tomorrow but this level will probably hold as there is evidence the move up is exhausted and poised for another test of $2.78 and possibly lower. June sustained a close over $2.79, the smaller than (0.618) target of the wave up from $2.66, for the past two days. The equal to target for this wave is $2.85, which is near $2.84, the 200-day moving average. Waves that meet the smaller than target generally extend to the equal to target. Therefore, there is a good chance for at least $2.84 early tomorrow. This is extremely strong and important resistance, so a close above $2.84 would be quite positive for the near-term. However, to prove June has broken out of the recent range a close above the $2.873 swing high is necessary. For now, such a move is not expected without help from external factors (i.e. another larger than expected withdrawal from storage). That said, today’s early move up fulfilled the $2.825 equal to (1.00) target of the wave up from $2.691 and the subsequent pullback formed a daily hanging man reversal pattern. The hanging man and confirmed bearish intra-day divergences indicate the move up is exhausted and ready for another test of $2.78. This is the hanging man’s confirmation point, a close below which would open the way for another downward oscillation within the trading range to $2.75 and lower. So, with all factors considered look for a move up to at least $2.84 and then for a test of $2.78 again within the next day or so. Settling beyond either of these levels should paint a clearer picture of next week’s outlook. In the bigger picture, natural gas remains range bound between nominally $2.60 and $2.84. However, last Friday’s break higher out of a bullish flag and test of resistance at $2.76 set prices up to test the upper end of the trading range this week. So far, though, prices have struggled to reach the upper end of the range and the last three days form stars. Two, including the most recent, are shooting stars and the third is a hanging man. All three stars are part of an evening star reversal pattern setup that would be completed by a close below $2.71. Given the shooting stars, hanging man, evening star setup and several bearish intra-day momentum divergences near-term odds favor another test of $2.71. As stated, a close below this would complete the candlestick reversal pattern and open the way for the confirmation point near $2.68. This is key support for the near-term because it is also the 62 percent retracement of the move up from $2.621. Settling below $2.68 would open the way for another test of the bottom of the recent trading range at $2.60. That said, trading has been erratic and so far $2.71 has held after being tested on Monday. Should prices rise above $2.78 first, look for another attempt at $2.81 and even $2.87, resistance levels split around the upper end of the range at $2.84. Natural gas is still oscillating within a range between nominally $2.60 and $2.80. Traders are likely waiting on external factors to push the market out of the range, so for now, erratic trading will most likely continue. Prices briefly fell below the lower trend line of the bullish pennant (not a textbook example) that formed during the decline from $2.764. However, the move stalled at $2.621 before rising to $2.69 and forming an intra-day double-top. Due to this pattern and the settle below Tuesday’s midpoint and the 62 percent retracement of the decline from $2.726 near-term odds favor a test of $2.64 tomorrow. This is the intra-day double top’s target and the larger than target of the wave $2.69 – 2.667 – 2.69. A close below $2.64 would call for $2.60 and lower, though given recent choppiness it would not be surprising to see $2.64 hold and for a test of $2.72 resistance to take place. This is near the upper trend line of the pennant. A close above this would call for $2.76 and possibly higher. So, the market will most likely test a bit lower tomorrow before possibly challenging resistance again. But, with all factors considered, there is still no evidence that the market will break out of the trading range and determine a long-term direction. Natural gas continues to show signs that it has settled into a trading range between nominally $2.55 and $2.85. Trading will most likely remain erratic as the market awaits factors to push it out of the range. However, it may be awhile before such factors come forth as the market will be pressed to balance inventories that are well below the five-year average against strong production during the low demand spring shoulder months. Quantitative factors are balanced and reflect the neutral near-term outlook. Today’s initial move lower held support at $2.67 before rising and challenging important resistance at $2.75. The subsequent pullback from $2.746 forms a long upper shadow on the daily candlestick and is poised to challenge $2.67 again tomorrow. The likelihood of a test of support was also accentuated by a confirmed bearish KaseCD divergence on the $0.015 Kase Bar chart. A close below $2.67 will call for $2.63, which connects to $2.59 and $2.56. That said, trading will likely remain choppy and a close above $2.74 would open the way for $2.78. Settling above $2.78 would shift near-term odds in favor of challenging the top of the trading range around $2.85.